Cape to Cape: The best of the Margaret River region under your own steam. You simply can’t go further west, which makes this stretch of coast the ultimate land of opportunity. 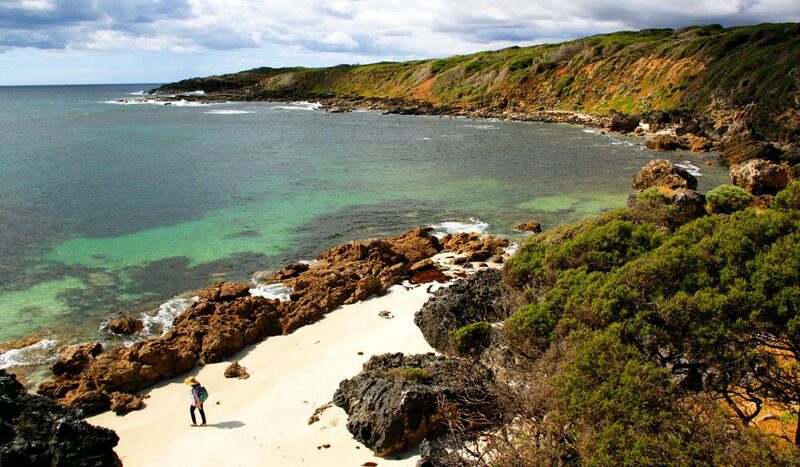 Over paths of coarsely crushed shells and ’round bends of turquoise, the walk takes in some of Australia’s most treasured coastline along the Margaret River region (a big part of why ‘a foodie escape’ in this area came in at #6). Fleur Bainger recommends walking any section of the 135 kilometres (many access points give you several options) in spring when cliff-top views reveal migrating whale pods and inland vistas are carpeted with wild, wild, wildflowers. More info: Western Australia.